St. Norbert in Green Bay has a ton of great locations for pictures whether you have your wedding there or are visiting between the wedding ceremony and reception. 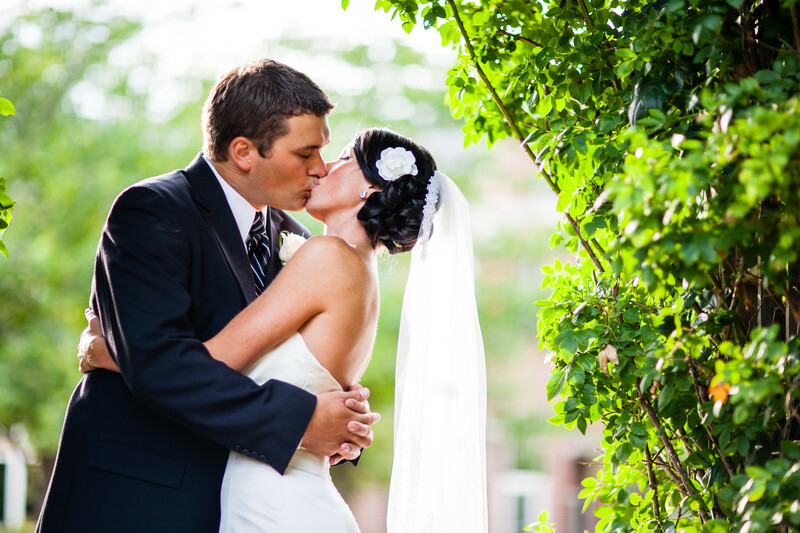 In this photograph I positioned the bride and groom under a vine covered archway. The light was slightly overcast giving me a nice and even light. 1/500; f/1.2; ISO 100; 85.0 mm.